If you are in the market for a new or used car, you are probably bracing yourself for many trips to the dealership and haggling in person. But there’s a better way. Did you know you can comparison shop for cars all from the comfort of your couch? You don’t even need a computer to use these apps. You can use your smartphone. Come for the listings, stay for expert research. Like all of the other apps on this list, you will be able to comparison shop between different cars. But unlike the other apps, Edmonds provides information on everything from average fuel costs to short-term deals in your area. If you are just not in the mood to haggle, this might be the app for you. This app pulls listings from only CarMax dealerships, and the prices don’t budge. Stable pricing can be great if you are none too confident in your negotiating skills and are looking to buy a car without feeling like you did something wrong. On the app, you’ll be able to estimate your payment amount, view vehicle history reports, and read reviews on up to ten different vehicles at the same time. What this app lacks in pizazz it makes up for in brand power. As any aspiring car owner knows, before you place an offer on a car, you should always check the Kelley Blue Book value, and now you can do so without opening your laptop or booting up your desktop. In addition to the standard comparison shopping that other apps offer, KBB also features a slew of informative videos as well as recommendations for local dealerships. If you know exactly what kind of car you want or are obsessed with the details, this app is the best place to start. While others might be overwhelmed by the 59(!) search filters, you will revel in the ability to search for exactly what you want. You will be able to see listings from private sellers as well as dealerships, so make sure you are cautious whenever heading to see a new vehicle. If you are a competitive on-the-go person that’s not easily overwhelmed, this app is for you. Through its sleek interface and well-designed features, not only can you see pricing for any vehicle based on what others in your area have recently paid, but you can also scan window stickers at select dealerships to make sure they are asking a fair price. 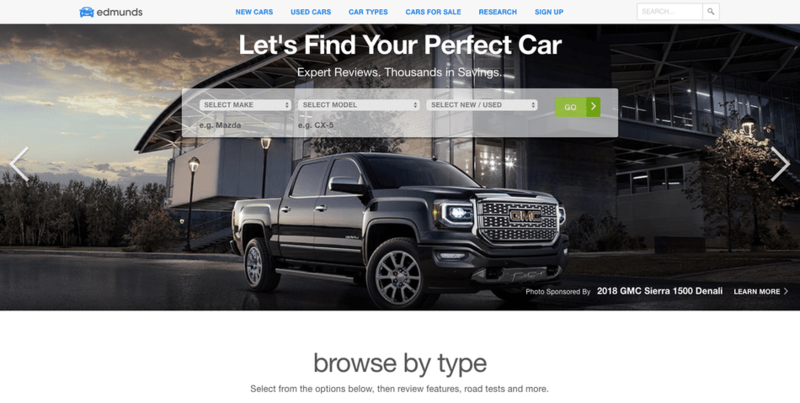 Just make sure that you know what you are getting into: once you sign up for TrueCar, you will be connected with thousands of dealers, who will have your phone number and plenty of cars to try and sell you. Once you do find your perfect ride, you’ll also have access to TrueCar exclusive discounts through their partner retailers and factories. If you trust the experts, trust this app. The main perk is the simplified vehicle overviews that outline what professional testers liked and disliked. As a bonus perk, the app can also help you calculate your trade-in value and loan payment amounts if you tinker with different variables like how much you pay upfront and your credit score. Should You Really Own a Car? Can You Guess the Best-Selling Car in the World?